May 18, 2018 - In the wake of the growing MLCC production shortage, New Yorker Electronics has announced a franchise distribution agreement with Holy Stone International to address these shortage concerns. 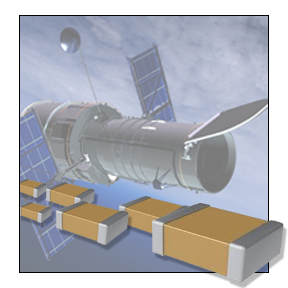 New Yorker is now a franchise distributor of Holy Stone's Multi-layer Ceramic Capacitors (MLCC’s), designed for Aerospace, Automotive, Lighting, Telecommunications and other applications. Through this agreement, New Yorker Electronics will use its global distribution channels to help meet a growing demand for MLCC products that are in severe MLCC shortage. Holy Stone International, the North America subsidiary of Holy Stone Enterprise Co. (HEC) of Taiwan, is a leading manufacturer of MLCC’s. Feature products include: surface mount and through hole X and Y Safety Certified Capacitors, High Voltage Capacitors and High Capacitance Capacitors. Holy Stone’s modern manufacturing centers utilize state-of-the-art equipment and technology. The facilities are certified to ISO-14000, ISO-9001 and QS-9000. Holy Stone also supports a wide range of SMD Ceramic Capacitors from 0201 to 3640 sizes, at 6.3Vdc to 8KVdc, in NPO, X6S, X7R, X5R and Y5V temperature coefficients with through hole Safety Disc Capacitors available in NPO, SL, X7R, Y5P, Y5V, and Y5U temperature coefficients with X1/Y1 and X1/Y2 class ratings. All Safety Certified Capacitors are recognized by TUV, U/L, CSA, and CQC agencies. As a franchise distributor, New Yorker Electronics will distribute the entire line of Holy Stone International Ceramic Capacitors in the Automotive Grade, General Purpose, Safety Certified and Radial Leaded MLCC products.